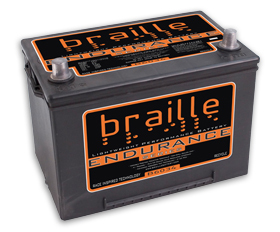 Read 49 customer reviews about Braille Car Batteries that have an average rating of 4.5 to find out what product is best for your vehicle. Looks great and saves weight. 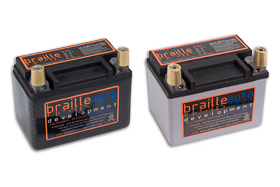 For a 2006 4Runner V8, I chose the Braille over Optima and DieHard Platinum. I felt the quality was best with the Braille and it has not let me down yet. Good clean starts in all weather conditions and no more flickering of the lights when idling. I removed the stickers as I wanted the engine bay to have a cleaner appearance. Reference # 759-606-020 © 2000-2019 AutoAnything, Inc.